Vegesack lies in the north of Bremen, where the Lesum River meets the Weser. About 400 years ago, Germany’s first artificial harbour was constructed here. Today this neighbourhood no longer lives from fishing, but the olden days make themselves known in Vegesack Harbour at the Havenhaus (Harbour House), the fountain column, and the bronze statue of a whale jaw. The pedestrian zone in the heart of the neighbourhood offers modern counterpoints: Here residents and visitors are presented with numerous recreation and shopping opportunities. 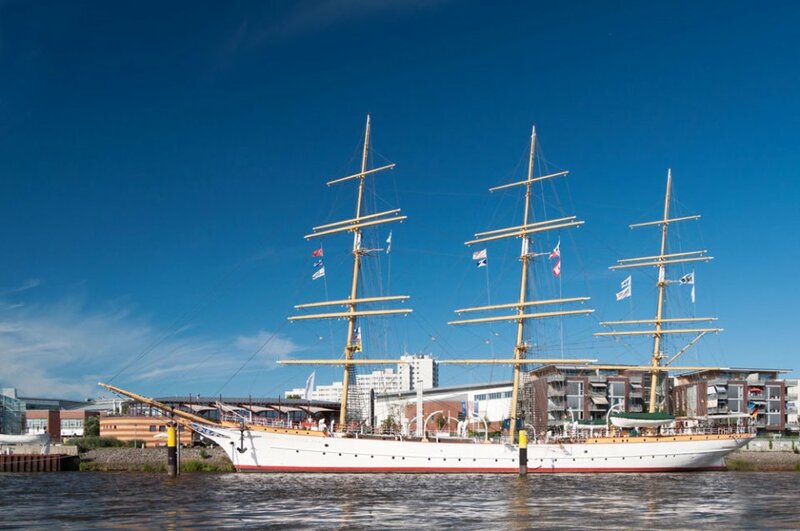 The yearly Vegesacker Hafenfest (Vegesack Harbour Festival) takes place on the first weekend in June. The Bremen neighbourhood Vegesack is made up of five different sections. The section bearing the same name as the neighbourhood - Vegesack - is its centre and has the harbour in it, which is now a museum, rather than a working, harbour. Addition attractions here include the Weser promenade and the Kitohaus. Grohn is a particularly diverse area. Once a fishing village, it’s now the home of Jacobs University and the portal to the Haus Seefahr. In Schönebeck there a some very old buildings, included the well-known Museum Schloss Schönebeck (Palace Schönebeck) in the valley of the Schönebecker Aue (Meadow) and the small wooden Schönebecker church. The residential character of the section of Aumund-Hammersbeck is illustrated by the single- family houses seen here, but there are also some companies located in the area. Fähr-Lobbendorf was created by combining the sections of Fähr and Lobbendorf in 1946. Among other things, this neighbourhood is known for the restaurant "Zur Gläsernen Werft" that’s located here. The restaurant is located directly on the Weser River with floor to ceiling glass-windows on all sides. The famous Maritime Mile is impressive in many historical areas, but most especially with the School Ship Germany (Schulschiff Deutschland). For many years, the seafaring personnel of the merchant navy were trained here. Now this maritime memorial sits in the mouth of the Lesum River. 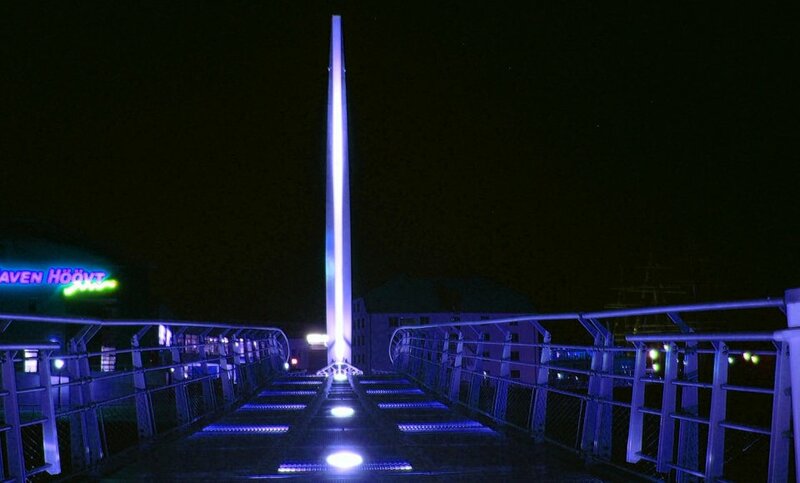 The sculpture from Uwe Häßler can be found on the Weser promenade of the Vegesacker Hafen (Harbour). It’s a memorial to the historical whaling tradition and the "whaling town" of Vegesack. 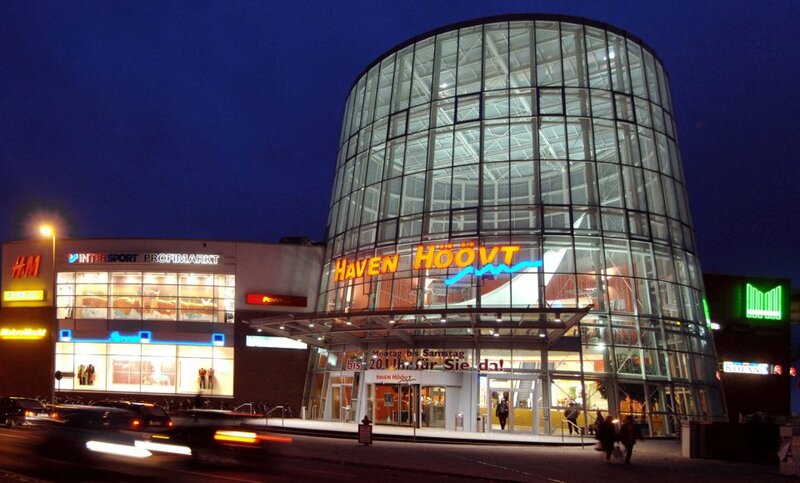 The Haven Höövt isn’t the only place to shop in Vegesack, but it’s probably the biggest. 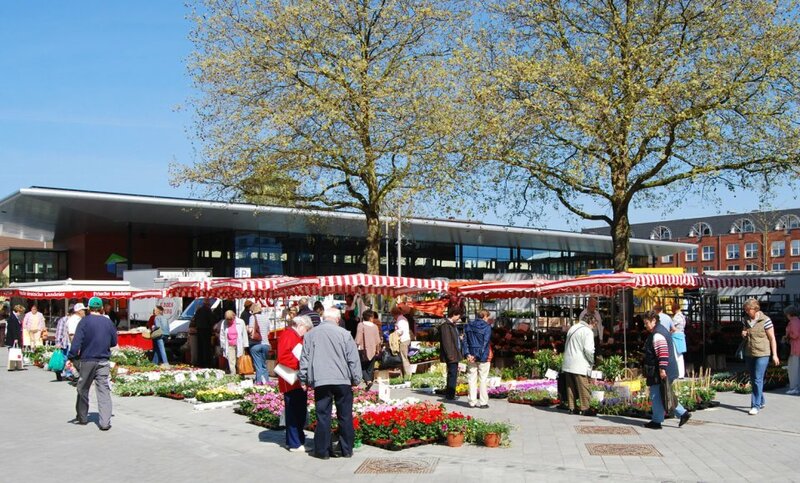 And the Farmer's Market that takes place every Tuesday, Thursday, and Saturday at the Sedansplatz is definitely worth a visit. In addition to numerous amenities such as salt-water pools, the Freizeitbad Vegesack also has an area for competitive swimming. A 60-metre long slide and a current stream boost the fun-factor. In the warmer months, there is an outdoor pool with a slide surrounded by a wide lawn with sunchairs. 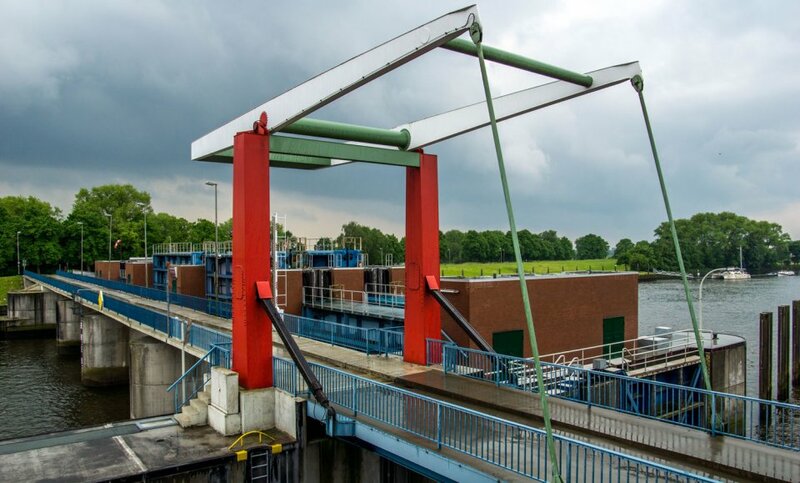 The Sperrwerk (flood barrier) connects the sections of Grohn in Vegesack and Werderland in Burglesum. It was completed in 1974 and serves as flood protection - it doesn’t allow the water level in the Lesum to exceed a maximum of 2,70 metres. Abutting Lower Saxony’s borders at the Vegesacker Geest are the Hammersbecker Meadows. With 27.2 hectares, the size of the nature preservation area makes it perfect for an excursion into the idyllic countryside. 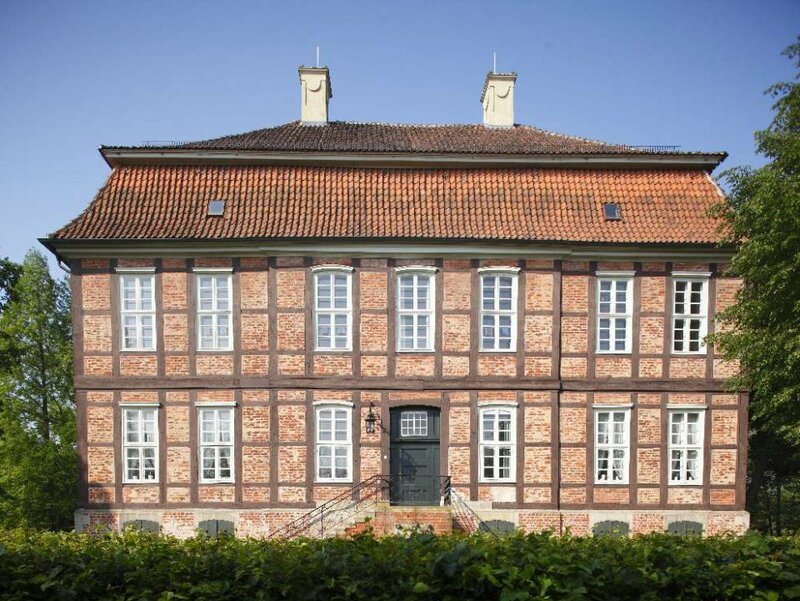 Today a local history museum is housed in Museum Schloss Schönebeck, where you can learn about Vegesack’s interesting past, as well as the fascinating history of shipping. Occasionally, the space is also used for concerts and exhibitions. This neighbourhood has traditionally been influenced by Protestantism. A unique parish can be found in the section of Grohn with its St.-Michael-Kirche (St. Michael Church), which has been under historic preservation since 1977. Those who live in Vegesack probably already know that the neighbourhood in its entirety has less dance clubs than on the single strip of the "Diskomeile" (Disco Mile) in Bremen’s downtown. Better to reckon with a half hour train ride into town if you want to go dancing. However, Vegesack has its fair share of pubs and bars for getting together and watching a game, or to enjoy a delicious cocktail. For example, at the "Fährhaus", "Muddy", or in the music and sport bar "Horizont".